Whenuanui Farm hosts visits including Government lead delegations and international visiting specialist farmer tour groups. A central race throughout the farm provides efficient and convenient all weather access for tour groups. Whenuanui Farm showcases best farming practices in New Zealand including their water and environmental management. National winners of the Ballance Farm Environment Awards in 2016 and recipients of the prestigious Gordon Stephenson Trophy - judges commented "Richard and Dianne clearly share a deep passion for their family's show piece farm on the edge of Auckland city. 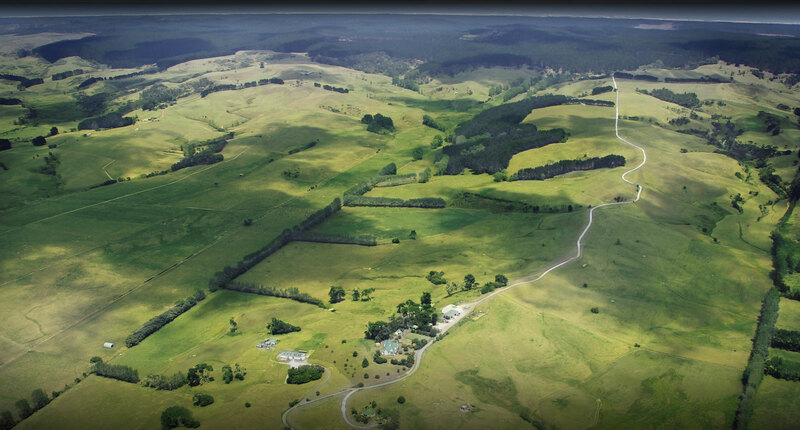 Their beef breeding and sheep breeding and finishing operation runs 4820 stock units on 331 ha (effective) with a pine woodlot established on 18.5ha and 15.3ha of regenerating native bush. They are pragmatic about protecting the environment for future generations. All waterways are fenced, and large areas of Raupo act as sediment traps to capture nutrients. Biodiversity corridors link the upper catchment areas to the bush, and bush remnants have been planted with native species such as Kauri, Rimu and Pohutukawa". Two recently filmed videos provide excellent educational information on NZ Beef & Lamb farming respectively. The Ministry for Environment recently filmed footage for Ian Proudfoot - KPMG's Head of Global Agribusiness to address the 2018 Future of Farming video. We are proud to support New Zealand's environmental story. Stock are predominantly grass fed. Grass is supplemented with crops sown in spring to assist with fattening and finishing stock over the often long and dry summer months. Silage and hay are made for the winter months. The water supply is from natural springs on the farm and reticulated to all paddocks. Large native bush blocks, wetland and natural waterways are all fenced off from stock. 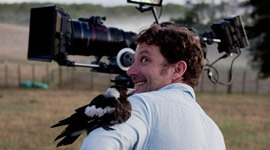 Whenuanui is a sought after film location. It has hosted some of New Zealand's well known and high profile farming advertisements and brands including NZ Beef and Lamb, FMG Insurance, Progressive Enterprises (Countdown -Angus Beef & Lamb), Toyota Hi Lux. It has also hosted some extended feature films. 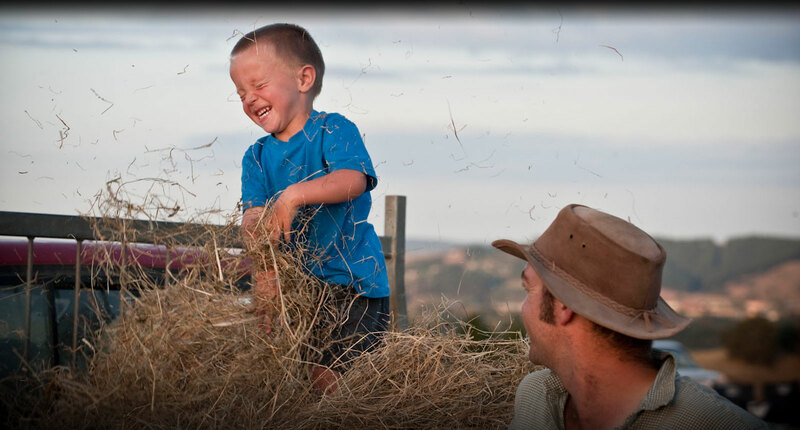 The farm has 300 Angus breeding cows and works in closely with a 450 hectare beef finishing farm at Shelly Beach in South Head managed by their son David Kidd. Calving on Whenuanui is July / August. With 1600 ewes, lambing and shearing are also key events on the annual farm calendar. Lambing commences in late June. Richard has been instrumental in developing the "Kaipara Lamb" brand in association with Progressive (Countdown) who we have a long standing relationship with supplying both beef and lamb for local trade. Together with a select group of farmers in the Kaipara, high quality spring lamb is produced with minimal stress to lambs and distributed through high end Countdown stores. 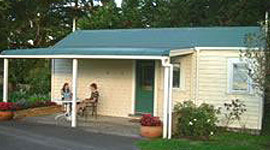 A small self contained and self catered Bed & Breakfast cottage (Rose Cottage) is available to rent in the grounds of Whenuanui's kauri villa homestead. Rose Cottage provides an authentic and convenient NZ rural retreat accommodation close to historic Helensville township located on the Kaipara River. Rose Cottage Bed and Breakfast is well situated for people looking for first or last night stay or accommodation in Auckland, New Zealand. 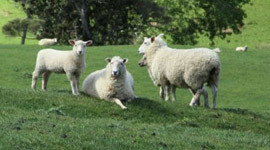 Export quality New Zealand Lambs are raised on the extensive sheep farming block at Whenuanui Farms north of Auckland. Thankfully, our top quality lambs are enjoyed right here in New Zealand by discerning Countdown customers. 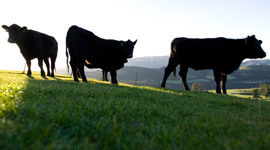 Visit leading New Zealand Beef Farm at Whenuanui Farm, Auckland. 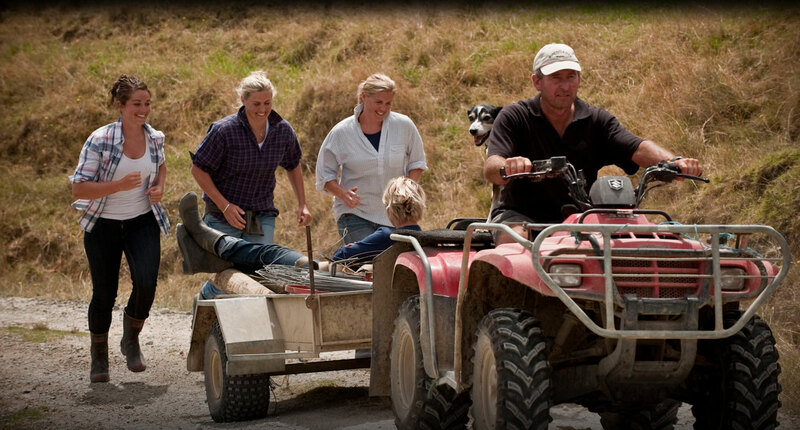 Farming tours, farm stays, and New Zealand beef farming knowledge are available at Whenuanui Farm, Helensville, Auckland.